After February TBD, 2020, at 11:55 pm, units can register for additional booths; be courteous to other units. Scouts that attend Scout Fair, participate at Scout Fair or sell Scout Fair Coupon Books will receive a participation Scout Fair participation patch. Unit leaders will receive the participation patch from their district professional at Scout Fair. The unit leaders will distribute the patches to participants. Scouts who sell 15 Coupon Books will receive a super salesman patch, and can choose from many awesome prizes. Scouts earn one point for every Coupon Book sold. Points are available in denominations of ten, five and one. If a Scout accumulates less than the 15, the points can be redeemed at the Winner’s Circle at Scout Fair only. Prizes in the Scout Fair prize brochure begin at the 15 prize point level; points expire August 31th each year. Points do not have cash value. Combining of sales between Scouts for prizes is not allowed. Consult your district Coupon Book chair for turn-in procedures. Scouts who sell 15 Coupon Books will receive the super salesman patch and will be entered into the weekly drawing. A total of 10 weekly drawings are held every week leading up to Scout Fair. Scouts can enter multiple times to increase their chances of winning. The weekly drawing entry is located on the money turn-in envelope. Winners will be posted on our Facebook page. Drawing prizes will be distributed at Scout Fair. All Scouts that reach the 220 bonus level will be invited to participate in Scout Fair Top Seller Party, a special celebration event held at Scout Fair where the top three council sellers will be announced. Also, at the celebration, all 220 bonus winners will receive a game experience voucher from Houston Dynamo/Dash. The voucher includes two tickets (one Scout, one adult) to a Houston Dynamo home game • Pre-game experience (watching field side warmups, high fiving players in the rally tunnel, US flag ceremony, color guard, etc. subject to availability). There will be a special celebration for all 220 bonus prize winners at Scout Fair; however, the names of the winners must be submitted below by April 1, 2019 to be recognized at Scout Fair. The deadline to submit all bonus prize winners is the day of Scout Fair. Bonus prizes are subject to availability after Scout Fair, and are not guaranteed. SHAC reserves the right to substitute this bonus prize for an equal or greater value prize after this deadline date has passed. Every pack, troop, crew, ship and post is encouraged to host a booth at Scout Fair. This is your opportunity to show our community what Scouting is all about, and to share your Scouting skills with fellow Scouts and Scout Leaders. The planning and teamwork involved in booth participation provides great fun and learning opportunities. Participate at Scout Fair, with a booth and earn an additional 10% commission when registered by March 22. Turn in your funds by early bird bonus dates and earn additional commissions. The prize brochure features prizes for various sales levels. Scouts who sell at least 218 Scout Fair coupon book bonus level will receive an additional bonus. Selling Scout Fair coupon books not only sustains the Scout Fair event and other council programs, it also provides a great fundraising opportunity for your unit and prepares Scouts to earn their own way. Each coupon book sells for only $10 but offers $100's in savings. When Scouts sell 15 or more coupon books, they'll earn the Super Salesman patch, qualify for entry in weekly drawings and earn great prizes from the Scout Fair coupon book prize brochure. All units receive a 30% base commission for each $10 Scout Fair coupon book sold, with funds turned in on or before the day of Scout Fair. Every pack, troop, crew, ship, and post is encouraged to participate in Scout Fair. 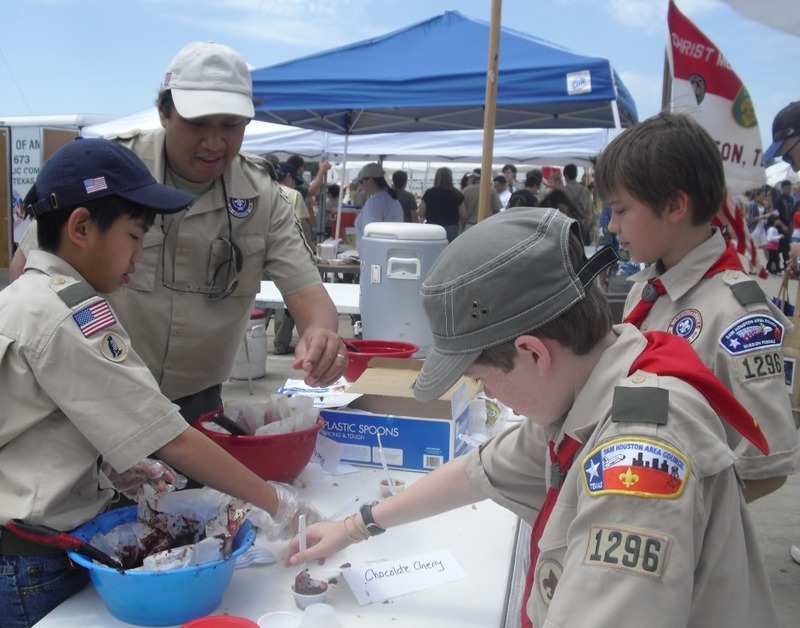 Units that participate at Scout Fair with a booth earn an additional 10% commission on Scout Fair coupon book sales. Units must register for a booth by March 27, 2020. Every unit is encouraged to sponsor a booth at the fair. This is your opportunity to show our community what Scouting is all about and to share your Scouting skills with fellow Scouts and Scout leaders. In the past, booths have included craft stations (Cub Scouts), rope making (Scouts), orienteering (Venturing), and law enforcement (Exploring). Keep it simple and fun. By involving all the Scouts and parents in your unit, booth preparation and set-up, manning and take down can be shared to keep it simple and make it fun. Each unit hosting a booth will receive a ribbon. The unit leader needs to register the booth by March 27, 2020. Booth Set Up: Booths are set up on Saturday from 6:00 - 10:00 am. Booth assignments will be posted on council Facebook page no later than Thursday before Scout Fair. Booth Breakdown: Booths must remain until 3:00 pm, even if you run out of supplies. When one unit begins to tear down early, other units follow. This is disrespectful to the participants who may not have had a chance to visit all the booths. No exceptions will be made. Place trash in receptacles before leaving. 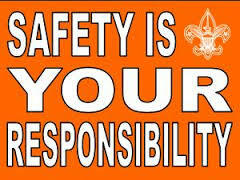 For more information regarding booth rules and regulations, please refer to the Scout Fair booth safety guidelines. For questions, contact your district Scout Fair chair or district executive. Please note: By attending or participating in district or council events, you give permission for your photograph to be used to promote Scouting, Scouting recruitment and/or donations/solicitation flyers.